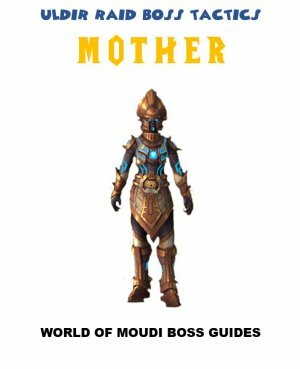 This guide covers a lot of Suramar and contains spoilers. When you ding 110 and return to Dalaran, you will gain a quest automatically, called Khadgar´s Discovery (Speak to Khadgar in Dalaran). This quest is the starting quest to enter Suramar the proper way in order to “activate” the entire questline. finding Thalyssra and helping her into safety inside a cave (Shal´Aran), your job now is to… reclaim Suramar City. This task is all about questing in Suramar. It is divided in two parts: Main questline, and side quests. The main questline is composed of 11 chapters. You can do the first 7 chapters before you need to unlock the 8th one. To unlock the 8th chapter, you need to hit honored reputation with Nightfallen. To unlock the rest of the chapters, you need to hit revered/exalted. Scroll down to check my guide covering this. In Suramar, everything comes down to Ancient Mana which the Nightfallen people feeds on, otherwise they turn in to withered creatures. Since your allies are mostly outcasts, they don’t have so much of it. Ancient Mana is all over Suramar and you need to collect they because they are used in many things such as questing, bying, and most important a scenario to train withered, which rewards a lot of things you really need. You will also find teleports in and out from Shal´Aran that are very handy once activated. Shal´Aran (the Cave) is composed of Leylines that enter it. These Leylines are sort of pipelines that comes from various destinations around Suramar. Your goal is to activate them so the ppl you recruit to Shal´Aran will be proper fed. Scroll down to check my guide covering Ancient Mana, Leylines and Teleports. You will unlock a scenario which turns into a World Quest once completed. This scenario is all about training withered creatures for war. You enter a ruin with certain amount of withered and fight mobs, loot corpses, chests etc. The reward is really good which can be Artifact power, Nightfallen reputation, gear, toys, items used in the scenario to make it easier next time, and much more. 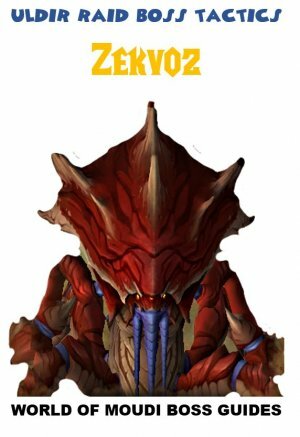 Scroll down to check my guide covering “Building an Army”. To be able to do World quests in Suramar, you must have accomplished the Achievement Nightfallen But not Forgotten. This achievement requires you to do the first quests in the Suramar questline in which you will recruit 6 special Nightfallen ppl. You become Friendly with Nightfallen after completing the 3 first quests Thalyssra gives you after you discovered and taken over the cave Shal´Aran. One of your goals is to earn reputation with Nightfallen in order to obtain Class Order Hall tier gear, unlocking questlines and buy other cool items. Scroll down to see how to earn reputation with Nightfallen. The arcway were built to tap into the magical leylines beneath Suramar. As they learned to subsist on the Nightwell, the old facilities such fell out of use. In the Cave Shal´Aran (which is your stronghold in Suramar), there are leylines that leads to it. One of your missions is to find where these leylines come from and activate them, so the recruited ones can feed on it. The first quest for starting the leylines adventure is called Tapping the Leylines. You get this quest after discovering Shal´Aran and done the quests called Oculeth´s Workshop that Thalyssra gives you. Completing the first leyline quest will also recruit Arcanist Valtoris. This NPC is one of the Nightfallen that you feed with 50 Ancient Mana (daily) to receive 75 reputations and a good buff. Each leyline requires a quest to be completed from the leyline “pillars” that you activate, together with some Ancient Mana. After activating a Leyline head to Shal´Aran and you will see that Arcanist Valtoris has a quest for you. He will reward you with a buff called Ancient Mana Scavenging which grants a chance to loot additional Ancient Mana from creatures. This buff gets upgraded the more leylines are activated. When Valtoris is weak of hunger and you give him 50 Ancient Mana, you receive this buff which can be done daily. Here are all the locations for all 8 Leylines which will also reward you the achievement Leyline Bing once completed. In order to see coords on you map, download the addon “MapCoords”. The cave you are in is called Shal´Aran and is composed of teleports in and out to places around in Suramar. But they are inactive and your goal is to activate them. After discovering Shal´Aran you get a quest called Oculeth´s Workshop. 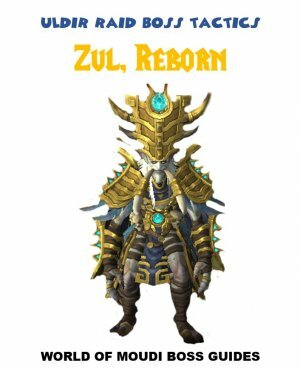 Completing it will recruit Chief Telemancer Oculeth which enables you to activate the first teleport that takes you just above Shal`Aran and also unlocks the capability to activate the other portals. You activate a portal simply by offering 100 Ancient Mana. In this way, you infuse the Telemancy Beacon with Ancient Mana. This one can only be unlocked when completing the quest Vengance for Margaux. You obtain this quest when unlocking a new questline once hitting honored with Nightfallen. This is an item specifically in Suramar. It is what Nightfallen people feeds on in order for them to live and have energy. If they do not feed on Ancient Mana they transform to sort of beasts called withered. There are loads of Ancient Mana nodes all over Suramar. You get different amount of Ancoent Mana depending on source. Also, all mobs in Suramar have a chance to drop Ancient Mana nodes 1-2 per mob. Mining ores also rewards Ancient Mana (around 6 per time). Here is a list of sources that gives Ancient Mana. 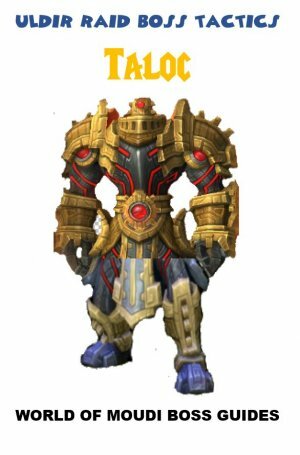 If you are grinding for Mana, I suggest that you do that in Suramar city because the amount from various sources are much greater (after you got the Mask so you don’t get attacked all the time). Small chests are hidden all over Suramar city. Most of them are on top of the buildings. You can get up to a building with your harpoon that you get in Stormheim. Aim for the Grapple Points. Chests rewards Artifact power, Ancient mana and Order Resources. Rare Mobs may also drop Ancient Mana Crystals which rewards 75 Ancient Mana. You start with the capability to carry maximum 300 Ancient Mana. In order to carry more you have to finish certain questlines or find items in Suramar. Once you hit honored with Nightfallen, buy the Treasure Map Suramar. Head to Suramar City and grind Ancient Mana, you will find much more than you thought you could. First quest to complete is called Tapping the Leylines. You get this quest after discovering Shal´Aran and done the quests called Oculeth´s Workshop that Thalyssra gives you. It increases the maximum amount of Ancient Mana you can carry by 200. Second quest to complete is called Cloaked in Moonshade. You get this quest later on in the Suramar questline. It increases the maximum amount of Ancient Mana you can carry by 300. Third is a quest reward (Arcane Amplifier) after completing the “The Waning Crescent” storyline. A quest reward from the quest “How it´s made: Arcwine”. You will get this quest later on when you hit honored with Nightfall, because a new quest chain unlocks then. Arcwine Connoiseur: Increases the maximum amount of Ancient Mana you can carry by 200. A quest reward from the quest “Make your Mark”. You will get this quest later on when you hit honored with Nightfall, because a new quest chain unlocks then. Durant´s Manaflask: Increases the maximum amount of Ancient Mana you can carry by 300. An item located in a cave (27:73) furthest in to the right. The item is called Kryto´s Research Notes which increase the maximum amount of Ancient Mana you can carry by 100. An item located at 21:54, Kel´danaths Manaflask which increases the maximum amount of Ancient Mana you can carry by 100. An item called Volatile Leyline Crystal. Entrance is located at 23:36. Once inside head to 36:53. Increases the maximum amount of Ancient Mana you can carry by 100. An item called Infinite stone inside an Arcane Power Unit. Head to the very top of Moon Guard Stronghold. Location is at 42:20. Increases the maximum amount of Ancient Mana you can carry by 100. An item called Enchanted Burial Urn. This is located in Tel´anor in 45:31. Chief Telemancer Oculeth (you recruit him in the beginning from a quest called Oculeth´s Workshop). Kill increase movement speed by 50% for 15 sec in Suramar for 60 min. When you would take fetal damage, you instead create an arcane barrier, restoring health and granting immunity for 5 sec, but during that time you cannot attack, move or cast spells. You attract the power of the ancient leylines, causing Leyline Rifts to appear during combat. You gain Ancient mana while standing in a Leyline rift. Enemies in a Leyline Rift suffer periodical damage. The main questline has a small stop when you get the quest Seed of Hope. Before it was a straight forward, what to do questline. Now you have to reach honored reputation with Nightfallen in order to move on to the next big step in the questline. Another checkpoint is to hit revered in order to unlock more quests. Some quests in Suramar are actually part of the main questline. When doing the side questlines, you get new ones from Thalyssra or end up completing the questlines at Thalyssra. Completing the entire questline rewards the Achievement: Good Suramaritan. Can´t find more quests in Suramar? I have listed where all the quests start for each chapter. Further down is also a list on where the side quests are located. To be able to do more in the main questline, you need more reputation with Nightfallen. 8000/12000 reputation with Nightfallen unlocks this part in the questline. 7000/21000 reputation with Nightfallen unlocks this part in the questline. 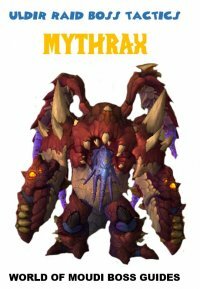 This chapter requires you to enter the Raid The Emerald Nightmare and kill the last boss Xavius. Most likely that you can complete this on LFR mode. * Complete the other chapters above. * Hit 20000/21000 reputation with Nightfallen. 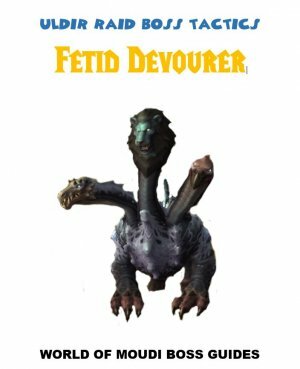 Here are coord in which you will find more quests that can rewards Artifact Power, toys Nightfall reputation. Doing these quests will unlock them (some of them) as world quests. In Suramar city you are hostile. There is a quest however that you get early in the quest line (Chapter 1/11) which rewards you with a disguise. This lets you move around freely in Suramar city, well almoust. There are guards and demons that can see you if you stand to close to them for a certain time. If you don’t move away from them, your disguise is broken and you will be attacked, by a lot of mobs probably. There are baskets in which you can jump inside and hide if they catch you. That is a safe zone and you can peacefully out on your disguise again. Places a Nightborne Clone at the targeted location, attracting nearby Nightborne into attacking it. Lasts for 15 sec or until destroyed (1 min CD). If your Masquerade disguise is broken within the next 5 min, you will be stealthed for 5 sec and a clone will appear, drawing your enemies away. When you come out of stealth, Masequerade will be reapplied. (3 min CD). One of the goals is to find a cure for the withered. So far they can be controlled, and therefore, Thalyssra wants to build an army of withered. One of your missions is to combat train them in the tunnels of Falanaar. This is a scenario (Collapse Scenario) in which you enter Falanaar with withered and kill mobs, loot them, loot chest etc. The reward for you is first all the loot, second you get a reward in the end which is based on how many points you get. You get points by slaying mobs and some mobs are easy to kill and others are elite. You have an extra spell button when entering the scenario called Mayhem. This spell orders your withered to cause mayhem, increasing their damage by 75%. Use it when needed only, because they run around and throws rocks on everything pulling all. I recommend to clear the room before pulling an elite/bigger mob, then use the mayhem. You need a certain amount of withered with you to unlock doors so help them out not to die. Also, you need certain types of withered to unlock some doors. Check all corners, there are withered exiles that you can recruit to increase your army. 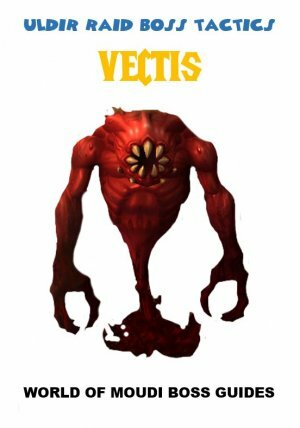 Some mobs (Volatile Wraith) blows up at 20% and does aoe dmg (unstable explosion). Use any kind of stun on them if you can so they don’t blow up (it cannot be interrupted). Some bigger Chests you find requires withered to carry it back to Thalyssra. Plan your path so you have enough to attack mobs/enter doors etc. Withered with you may run away, so be prepared to catch them again by clicking on them. Find a balance of how far you will go in the scenario depending on how many withered you have, how much hp is left and f you should use them tom open doors or chests or carry on killing mobs. Take all the 3 buffs from Chief Telemancer Oculeth, First Arcanist Thalyssra and Arcanist Valtoris in Shal´Aran. The chests are not always on the same place, if you found one at first scenario it has probably moved when doing the scenario again. This mob was also found stealthed and attacked me, so beware! He is very hard to kill and he attacks your withered (but not Withered Mana Ragers). He drops a key called Dro´s Key. This key unlocks the door on the southern side of the Falanaar Tunnels central Chamber. Nightfallen reputation (every 100 points gathered rewards 100 reputation and max rep you can get per scenario is 425 rep). Gear (I got a warforged Helm 835 ilvl) don´t know if it scales to your lvl or a fixed ilvl. Lucky Doodad (Use: Equip a Champion with Lucky Doodad which grants: Increase success chance of missions by 10%). Ancient Mana Basin - Toy (Legion icon burning on your forhead). Traveler´s Banking Chest - Let you place a bank chest in Shal Áran so you have access to it. Soothing Leystone Shard - Reduces the chance that your withered troops will run away when injured. This effect is permanent and will take effect the next time you enter the Collapse Scenario. Pertified Silkweave - Increase the health of your withered troops. This effect is permanent and will take effect the next time you enter the Collapse Scenario. Spellmask of Azsylla - One of the members of your withered army can wear the helm, causing it to become a powerful Withered Mana-Rager. This effect is permanent and will take effect the next time you enter the Collapse Scenario. Spellmask of Alla´onus - One of the members of your withered army can wear the helm, causing it to become a powerful Withered Mana-Rager. This effect is permanent and will take effect the next time you enter the Collapse Scenario. Lens of Qin´dera - Increase the damage of your withered troops by 25%. This effect is permanent and will take effect the next time you enter the Collapse Scenario. Disc of the Starcaller - One of the members of your withered amy can wear the disc, granting its powerful magic. This effect is permanent and will take effect the next time you enter the Collapse Scenario. This disc makes one of your Withered to become a withered Starcaller. Lenses of Spellseer Dellian - One of the members of your withered army can wear lenses, allowing it to see hidden treasure chests. This effect is permanent and will take effect the next time you enter the Collapse Scenario. Berserking Helm of Ondryél - One of the members of your withered army can wear the helm, causing it to become a powerful Withered Berserker. This effect is permanent and will take effect the next time you enter the Collapse Scenario. Berserking Helm of Taenna - One of the members of your withered army can wear the helm, causing it to become a powerful Withered Berserker. This effect is permanent and will take effect the next time you enter the Collapse Scenario. Box of Calming Whispers - Encourages your whithered troops to more efficiently focus their attakcs on enemies. This effect is permanent and will take effect the next time you enter the Collapse Scenario. But all depends on how many points you gather, how many chest you gather and what type of chests. * Hit 8000/12000 reputation with Nightfallen. I´m not sure if you have to complete all the other storylines before that, but i guess so. I have listed where and how you get the other quests that start the previous storylines further up in this guide. Once completed the Statecraft storyline, head to Shal´Aran and talk to First Arcanist Thalyssra (36:47). She will offer you one quest regarding the Arcway and one quest regarding the Court of Stars. The first way to gain reputation is through questing in Suramar. The majority of quests, rewards reputation. You can only do quests in Suramar after hitting max level. See below regarding Suramar quest line and reputation vendor. Main reputation gain comes from World quests. 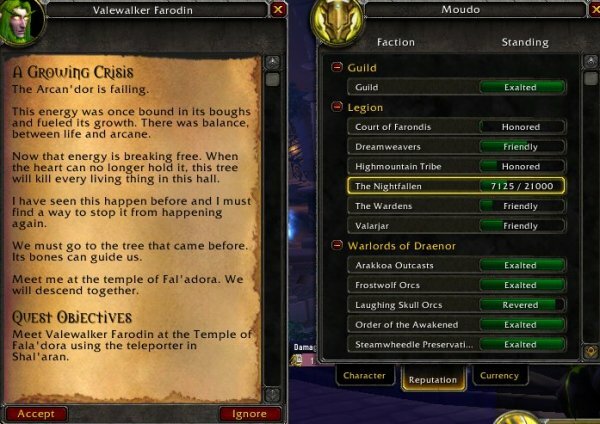 Mouseover on a world quest on your map will give you information on what faction that quest is tied to. Completing that quest will reward you extra reputation. For a full guide on World Quest, follow this link. Third way: Do the Building an Army Scenario. This rewards Remnants and tablets of Falanaar which grants reputation. The fourth way of gaining reputation with Nightfallen is to farm the dungeons Court of Stars and The Arcway. Endboss kill rewards you 250 reputations. Fifth way: Do Kirin Tor world quest. Kirin Tor world quests do reward reputation for the other legion factions. In this case it is based on where the quest is located in the Broken Isles. Kirin Tor world quests in Suramar rewards The Nightfallen reputation. Sixth way: Do the Kirin Tor Emissary World quests. Completing 4 quests for Kirin Tor, when the Emissary World quest is up will reward you with one insignia of choice. 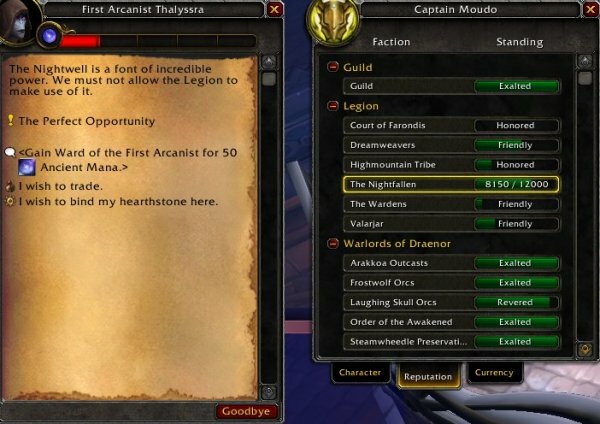 The Insignia gives 1500 reputation to any reputation faction in the Broken Isles except Nightfallen which gives 750 reputations instead. 7th way: Do the Wardens World Quests in Suramar. The reward will be reputation for the Wardens AND for Nightfallen (for example if the reward is 250 rep, you get 250 for The Wardens and 250 for Nightfallen. Reveals treasures on the minimap of Suramar as long as the map is in the inventory. Set up the beacon in the field to return to Shal´aran. Permanently enchants shoulders with the Manaseeker enchantment, allowing the wearer to obtain ManaTinged Packs from corpses of their enemies. Each class has its own tier that can be bought (when unlocked) from the Class Hall Quartermaster. Unlocks after defeating the final boss of every Legion Dungeon, on any difficulty. This information is collected during PTR and may have changes! This questline is a continuation of the previous one (Good Suramaritan). In order to unlock this questline, you need to complete the 11/11 Chapters of the first questline in Suramar. See the Guide above of how to complete it. The questline achievement is called “Insurrection”. This questline is not like the previous one. The quests do not have any requirements when you are actually eligible to start it. You can do all the quests after each other and in the end you will have the achievement “Insurrection”. The questline is pretty much straight forward. BUT! 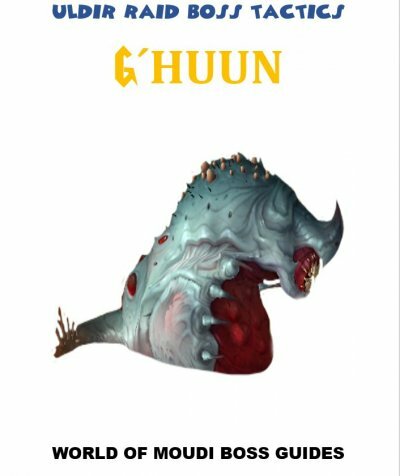 It seems, one chapter per week is released counting from the time 7.1 is released. During this questline you will get 2 side quests. One is too complete 10 World quests in Suramar. The other is to complete 5 missions (Order Hall). You do not have to complete them in order to complete the 9/9 questline achievement. NPC: Khadgar (you get this quest during the “March on Suramar” questline. Note: Khadgar wants you to complete 5 missions which is most likely from your Order Hall. However, it seems that there is a bug since I did more than 5 and nothing was recorded about it and couldn’t complete it. Completing this questline will give you a quest to kill Guldan which rewards loads of Artifact power which seems to increase the more artifact research level you have. This information is not confirmed and only my thoughts. You need to complete the Achievement “Good Suramaritan”. You need to complete the Achievement “Insurrection”. You need to complete the quest: “Lord of the Shadow Council” which you obtain from Khadgar after completing the Insurrection questline. 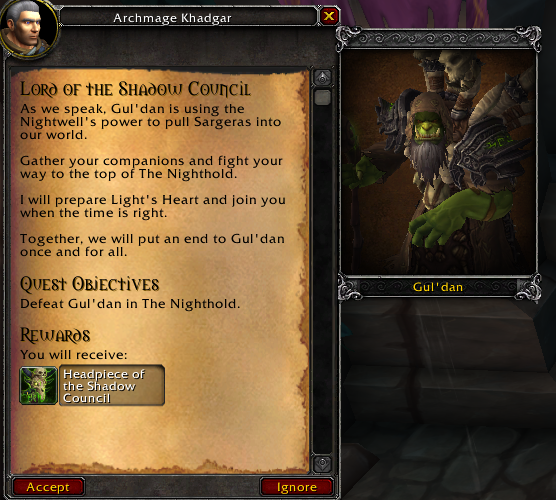 This quest is to kill Gul´dan in the Nighhold raid. 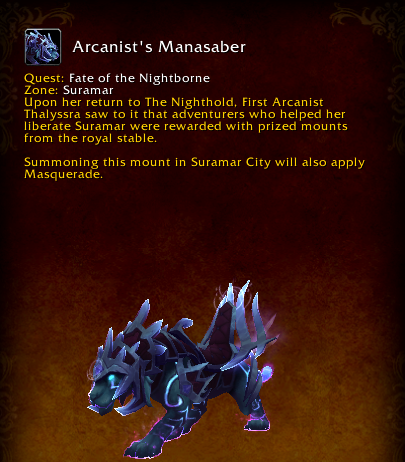 Finishing the Nighthold raid (completing “Lord of the Shadow Council” quest) will give you new quests (and the quest “Fate of the Nightborne”) and maybe some cool cinematics ending with that you obtain the mount Arcanist´s Manasaber. According to the Mount collection tab, you must complete the quest “Fate of the Nightborne”. 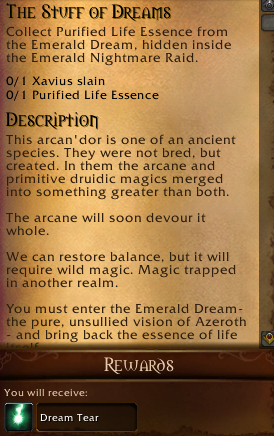 Also, on the description it says that you helped First Arcanist Thalyssra to liberate Suramar and therefore getting the mount as a reward.